Now that her mom is gone, she's left with a house, a cat known as Mr. Prince Charming, a qrumpy neighbor named Mac McGurtle, and her best friend, Oscar Park, the local police officer. Little did she know, her life if about to change...and in a really big way. When a mysterious woman drops by her house after a fire burns down her shed, she gets an offer that she can't refuse and heads towards Whispering Falls to check it out. Upon her arrival she meets a cast of characters that will eventually become her new family. Oscar joins her on this little adventure and becomes the new policeman for the charming little town. well until she finds herself smack dab in the middle of a crime...where she's the primary suspect. 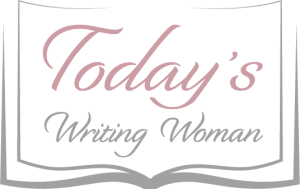 With this in mind, I'll leave the rest of the story for my readers to discover. 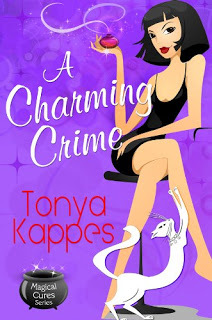 For someone like myself who has a difficult time going outside her normal reading genres, A Charming Crime by Tonya Kappes is a fun read to get into. The story was not too overwhelmingly complicated and the characters were just quirky enough to keep me interested. A few things to note: The overuse of the "Ding Dongs" theme (it does get a little old), June's unstoppable nature which makes her a very strong character in my eyes, and of course, the formatting and editing issues (which, by the way, I have yet to see any Kindle book escape from this problem). Overall, this story makes for a great weekend escape, especially if you have the opportunity to read the other books in the series.